The Size15Stylist Travel Blog : Happy DKNYing! So, what have I been doing for the last few months, apart from cooking Christmas dinner for ten people? It began, as all good shopping adventures do, in Manchester. In the former Kendals, now House of Fraser, to be precise, and a 30% off sale on the ground floor. It was a matter of wondering which bag was coming home with me, not was a bag coming home with me. A black leather Hudson bag was the lucky winner. But it remained in my wardrobe for a few days, I was actually too scared to use it, lest my fingerprints, or toddler-daughter's fingerprints find it. But, luckily for me, HoF had only just begun their sales, and I found a perfect quilted bag on sale. Ordered, and it arrived, free, at my local branch, the next day. The bag is infinitely more squeezable, and so I returned the Hudson, after briefly misplacing the receipt (bit scary). Even now the bag sits in Plymouth's HoF, full-priced and alone, amongst the monogrammed and patent DKNY which I just can't cope with.Clearly Devonshire people are scared of the smooth leather, too. 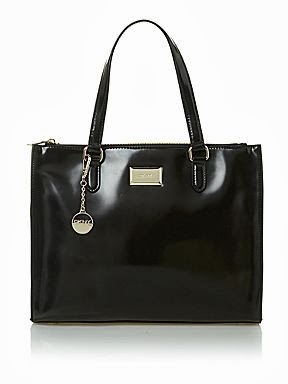 And lo, last week their 70% off sale popped into my inbox, and I found a gorgeous tan leather DKNY, for about 45% off. So I invested, with the theory that someone may like to club together to buy the bag from my for my summer birthday. And it's definitely a bag I won't be afraid to stroke.